This weekend we celebrate what represents the greatest event in human history. We celebrate Easter. We understand this might look different for many and that’s okay. Some might start with service on Good Friday. Others might make it a weekend of celebrations. Even others will commemorate Christ’s resurrection at a sunrise service on Sunday. However you do it, we want to know about. It’s your time to shine a light on what Christians do. 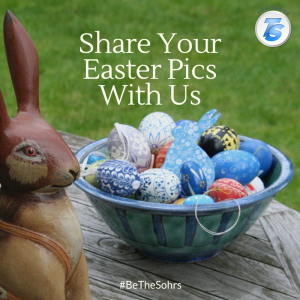 [Heart] our social media posts and share your Easter pictures with us this weekend on Facebook, and Twitter. 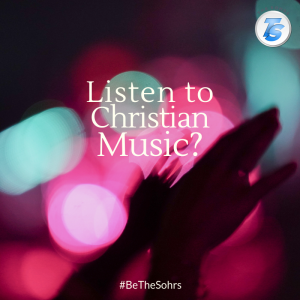 A common habit that many Christians have is starting their day with Christian music. Let me tell you, there is no shortage of Christian music out there, from Contemporary to Gospel and everything in between. We want to know what you’re listening to. [Like] our social media post this week if you listen to Christian music before you start your day. You may also share what’s on your playlist. It’s time, today is your day to show the world what Christians listen to. Share some music with us on Facebook and Twitter. Posted in BeTheSohrsLeave a Comment on Listen to Christian Music? Seen Any Good Christian Movies? Everyone enjoys a good movie from time to time. However, because Christian movies aren’t the most popular, it can be hard to find a good one. That could end today, if everyone shares the most recent “good” Christian movie they’ve seen. How about it? 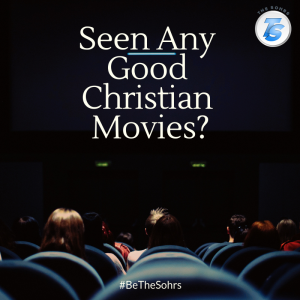 Can you share a good Christian movie you’ve seen recently? If not just like our social media post on Facebook, or Twitter+. It’s time, your time, to help the world see what Christians do! Join our “BeTheSohrs” campaign today! Thanks for sharing. Posted in BeTheSohrsLeave a Comment on Seen Any Good Christian Movies? 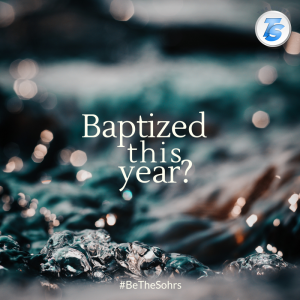 Posted in BeTheSohrsLeave a Comment on Baptized this year? 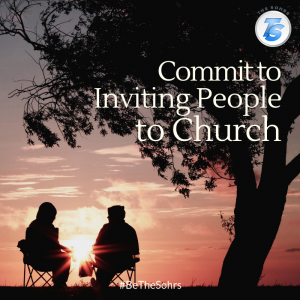 When our team presented this week’s focus for our “BeTheSohrs” campaign, the thought was how simple yet so novel. When you have something good, don’t you want to share it with others? How much more do you want what’s good for your friends? 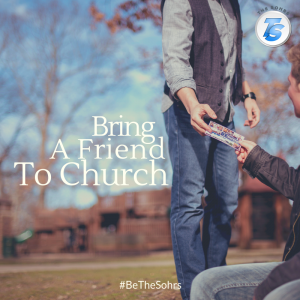 This week’s “BeTheSohrs” focus is “Encourage someone to bring a friend to church”. This focus is so simple that all you need to do is go out to Facebook, Twitter, Snapchat, or your favorite social network and [Heart] if you have brought a new friend to church recently or share a comment/picture. Or you can just share our post on your timeline. It’s time! Participate in our “BeTheSohrs” focus today! Share via Facebook, or Twitter. Going On A Mission Trip? Spring is quickly approaching. There’s a lot of chatter about springtime activities. One of the most popular, that you might not be aware of, is mission trips. Each year thousands and possibly even millions of Christians participate in these events. Well, we (The Sohrs) need to know more about these Christian-based events and it starts with you. 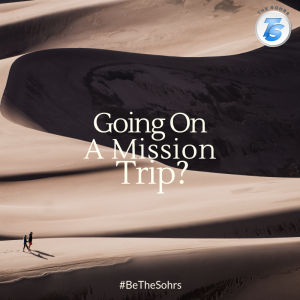 This week’s “BeTheSohrs” focus is “[Share] if you plan to go on a mission trip” this year. It’s your time to shine by sharing this post with the world around you. It’s time! Participate in our “BeTheSohrs” focus today! Share via Facebook, or Twitter. Posted in BeTheSohrsLeave a Comment on Going On A Mission Trip? Christianity definitely has its perks. Prayer is one of our secret (not so secret) weapons. Most of us spend much of our prayer time focused on our own issues, concerns, and needs. But what’s really great about prayer is when we direct our prayer focus to another. 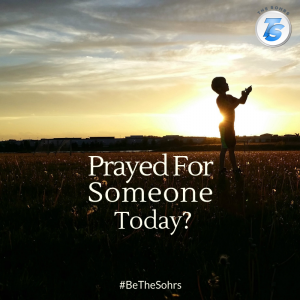 Today’s BeTheSohrs [http://www.bethesohrs.sohrs.com] focus is just that: [Heart] our social media post if you prayed for someone or will pray for someone other than yourself today. It’s simple; just go over to Facebook, or Twitter and LIKE or SHARE. Posted in BeTheSohrsLeave a Comment on Prayed For Someone Today? 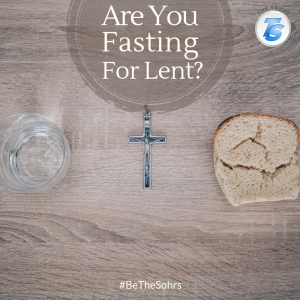 Are You Fasting For Lent? It’s time, our time to share with the world what we, Christians, do. Let’s BeTheSohrs! Posted in BeTheSohrsLeave a Comment on Are You Fasting For Lent? Before there were Sunday school classes or churches on every corner, there were “small groups”. Today small groups are becoming more and more popular. Why? Because they work and create communities. The only question is “do you have one?” Here’s your opportunity to show your group some love. Post an image and tag the people you know. It’s simple; just go over to Facebook, or Twitter and LIKE or SHARE. It’s time, your time to share with the world what we, Christians, do, BeTheSohrs! 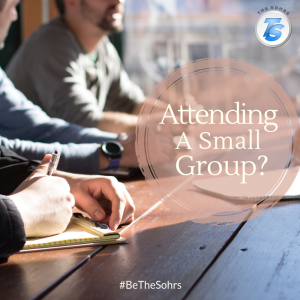 Posted in BeTheSohrsLeave a Comment on Attending a Small Group?